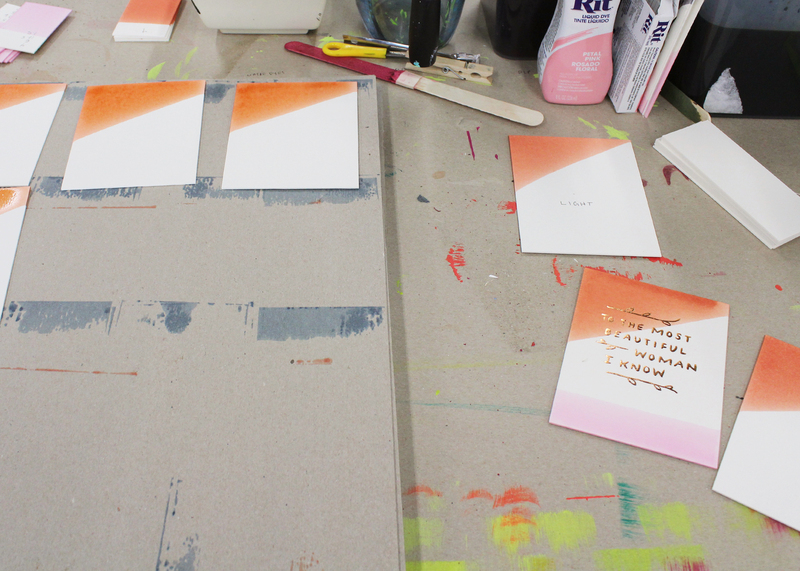 Read about what makes our dip-dyed cards special. 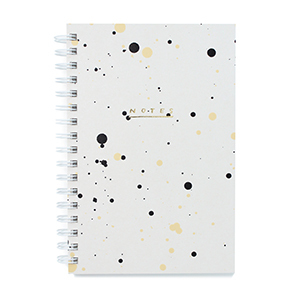 For all of our signature dip-dyed cards, we use heavy 4ply mat board to create a substantial, tactile piece of stationery. 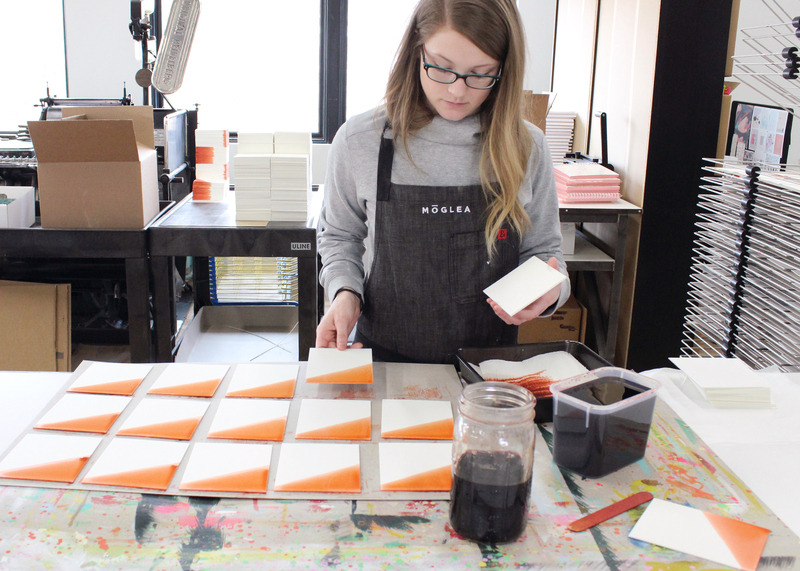 Each step is done by hand in our studio – from creating a custom colored dye to foil stamping our name on the back. 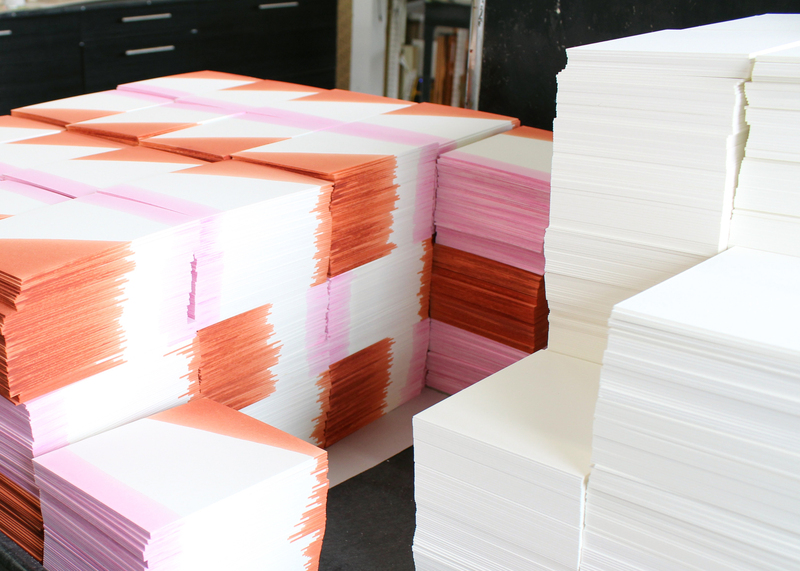 Dipped cards stacked and ready to be foiled. 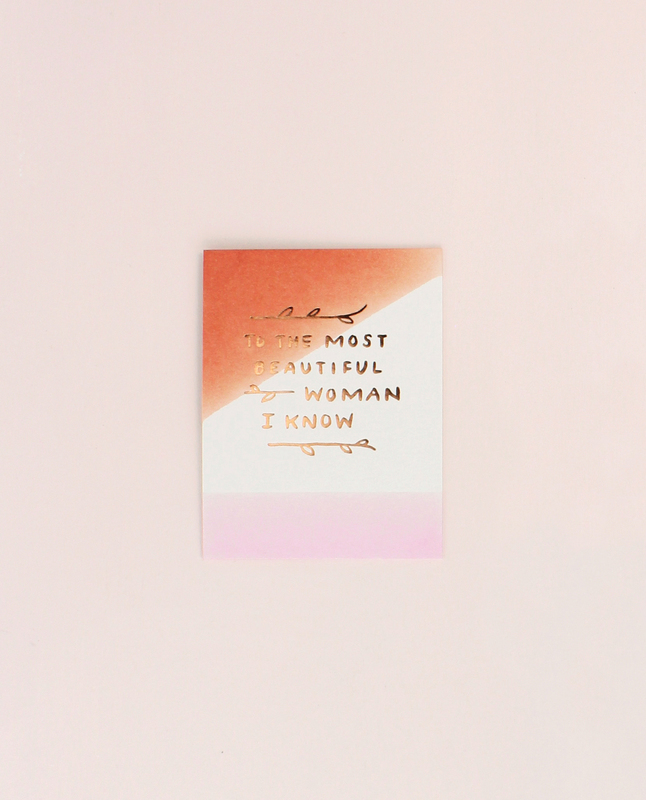 For this card, two custom dyes are created – scarlet and petal pink. Each card is carefully dipped into the scarlet dye and then laid to dry. 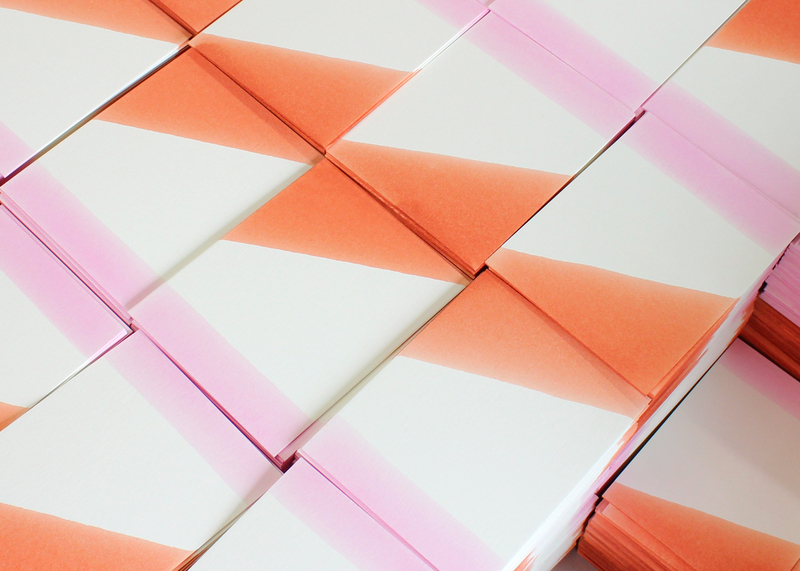 After drying, each card is dipped again in pink dye. 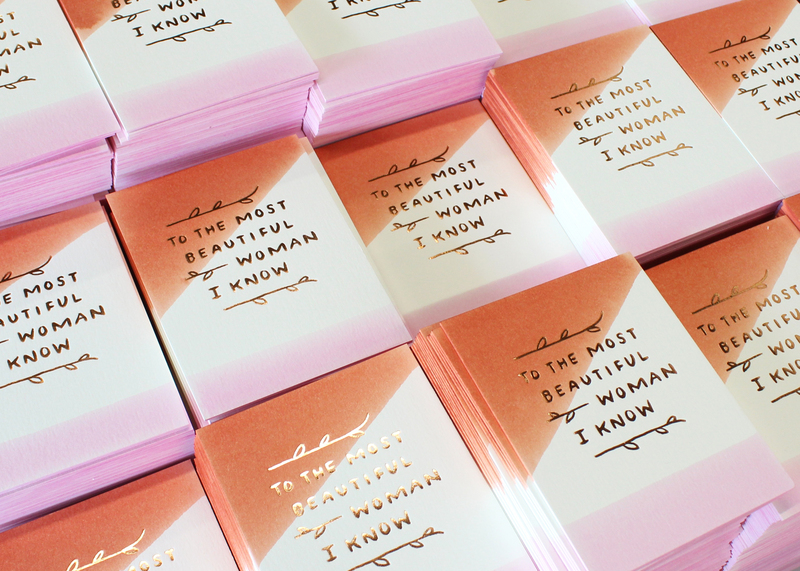 The cards are then foil stamped on our letterpress.